Louie was one wise swan. I can’t think of a better way to word the way that possessions weigh you down. I’ve discovered that traveling light is often harder than it seems. Letting go and lightening the load isn’t difficult if there is no attachment. However, memories and sentiment muddle things for me. I often hold onto to things unnecessarily long. 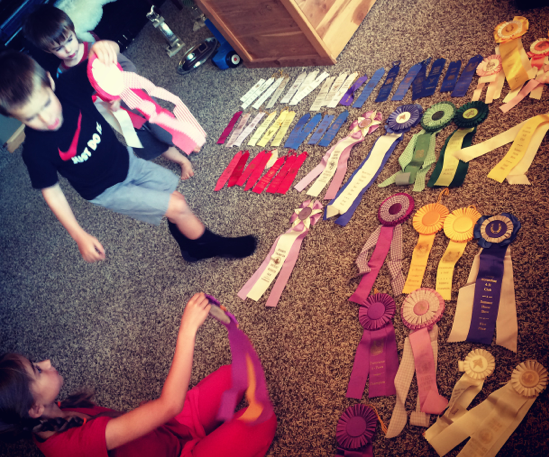 Take my childhood collection of ribbons and trophies as an example. These colorful momentos have been gathering dust in a box in our guest bedroom for over 15 years. When we prepared to list our home for sale several months back I asked myself: Do I look at them? No. Do I display them in my house? No. Do I think about them from time to time? No. 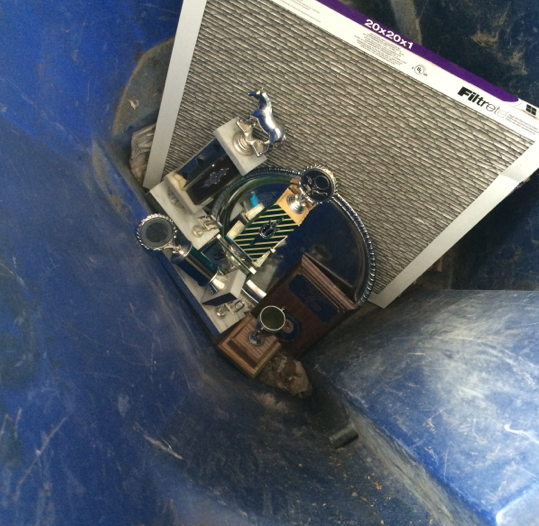 Is it hard to throw them away? Yes. Do I have to throw them out? No. Will I miss them if I do? I doubt it. When I logically examined the evidence, it seemed clear to me that I should not feel bad about tossing these treasures into the trash. So I did. I took a picture of my kids playing with them for memory sake and I ditched them. Until I sat down to write this post, I hadn’t thought of them once. I’ve decided that I’d rather hold on to the things that I actually hold dear and not the things that I think that I should hold dear because storing and moving and unpacking stuff only to shove it into a closet again is just dumb right? It seems so logical and reasonable but we do it all the time. Trent and I have been saving, storing and moving five bottles of wine since around 2002. These bottles were old and we were sure they were amazing. So amazing that we needed to wait for a very special occasion to pop the corks. Since that time we have moved twice, I’ve started and ended an elementary teaching career, started and sold a business, gave birth 5 times, and yet the bottles sat unused in the back of a closet (not too far from my ribbons and trophies). Last week as I opened that closet, I decided these bottles would not be moving with us, their time had come. I alerted Trent to the fact that our special occasion had arrived and it was time to celebrate. What followed was nothing short of a comedic reminder of the way we can cling to things that are inherently worthless. Bottle after bottle was opened, only to have the corks disintegrate into the inner liquid. Not to be dissuaded by the floating debris, Trent sampled each and every bottle straining the cork in a way that perhaps only a North Idaho man can do, only to find that they all tasted horrible. As it turns out, wine needs to be stored cork down, in a continuously cool, dark place. Who knew? Obviously not us. As a result, we have been saving, storing and moving these five useless bottles for the last thirteen years. 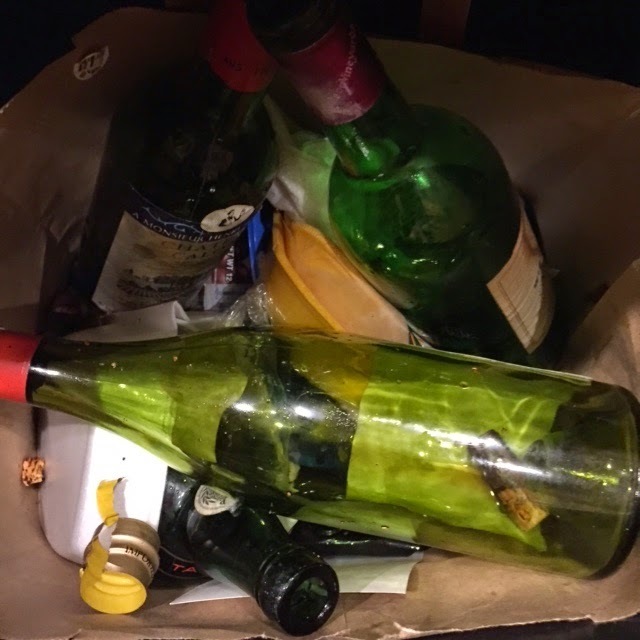 As we dumped the liquid down the drain and disposed of our treasures into the trash, Trent simply said, “I think there is a spiritual lesson to be learned here.” He is right. The treasures are often mislabeled. We are often disillusioned into pursuing the wrong valuables. When our time comes and our last days on this earth have been lived, what will we find waiting for us on the other side of the curtain? Will the things we have been striving for dissolve or will they endure?